Welcome to J. Otis Mitchell Co., P.C. 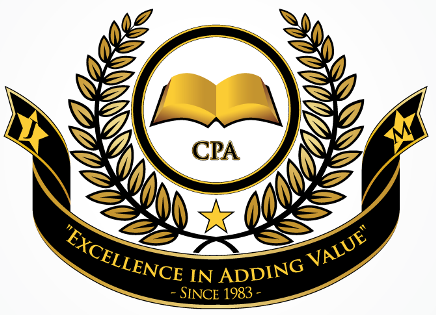 Certified Public Accountants! Thanks for your visit. We are your "small-emerging businesses experts" and a leading CPA firm for business development and expansion. As your accounting, tax, CFO "Cash Flow Growth" and CEO "Strategic Business Transformations" experts, we understand your need to save TIME and to make and save MONEY! At J. Otis Mitchell Co., P.C., "Excellence in Adding Value by Saving You Time While Making and Saving You Money, is Our Business"TM and we have accomplished this successfully since 1983. "Our Goal is to Add More Value than our Overall Fees." As such, we will work with you to find effective solutions for your accounting, tax, tax planning, cash flow and business growth needs. To "pay the minimum taxes" and "get the maximum refund" allowed by law. "J. Otis Mitchell Co., P.C. helped me get a tax refund totaling over $70,000. That's awesome!" H.J. Accounting and Payroll done "accurate and timely" that stands up against an IRS Audit. Advice on growing business cash flows that creates "business stability and longevity" and "cash in the bank". "Mr. Mitchell consulted with me on a business marketing issue and gave me an idea in less than five minutes that I implemented the same week which increased my cash flow by over $12,000 in one day". Dr. B. Montgomery. Montgomery Heart & Wellness. Advice on developing a business "strategically and systematically" that over time transforms the business in the into a long-term "valuable asset that works" even after you stop! Over 25% of our business owners, many who started from "zero" or "negative" net worths, have increased their net worths in excess of $1,000,000 by becoming a better business person and transforming their businesses into valuable assets. These 'Awesome Transformations' are what we call "Excellence in Adding Value"! "J. Otis Mitchell has helped me with CEO Strategic Transformation Services and has taught me to run my business strategically. I have learned so much from Mr. Mitchell about running my business over the years. Most of the strategies are awesome!" Dr. B. Montgomery. Montgomery Heart & Wellness. Reasonable fees that "Add Value"over and above the amount invested. Over the years we listened and developed these valuable services to help our clients fulfill their needs which has helped them to not only survive but to thrive by reducing taxes... improving cash flows... increasing sales... systematizing to reduce time... strategically transforming the business... and making all of these strategies work together to maximize cash in the bank! We look forward to talking to you soon to see how we may "Add Value" to you!